The Internet can be a scary place. There are lots of people out there who want to harm you, and want to harm your website. CurvePress uses the latest technology to protect your website from malware, viruses or any other type of hack that can put you out of business. In fact, we even offer 7 day per week website protection to keep your site healthy and keep you in business. 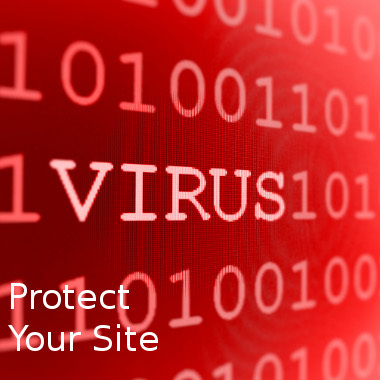 Let us help keep you, your site and your website visitors safe on a dangerous internet! Site Clean Up: If you have been infected, hacked, or whatever bad thing has happened, we can clean it up! One thing that happens when you end up in this condition is that Google will put a warning on their search results warning people that your site may be unsafe to visit. You definitely don’t want that, because it will virtually dry up all of your web traffic and make your site useless. Our Site Clean Up service can help eliminate the threat, and also help you get off of Google’s bad list! Daily Site Maintenance: For just $35 per month, we will check your site each day to make sure that the security of the site is what it should be. We will keep all site software updated so that any security breaches are patched and your site is as safe from attack as it can be. No site is 100% safe, but our daily maintenance service will make it very safe to the point where you don’t have to worry.